very quick and efficient scanner. 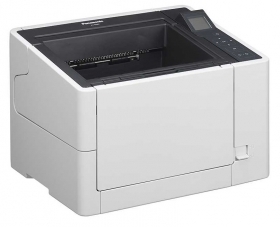 The KV-S2087 high-speed, multi-document A4 colour scanner is an evolution in scanner performance. Thanks to its exceptional extended functionality and competitive price, its the new must-have for medium and large-sized businesses across the finance, legal, healthcare and hospitality industries. Incredibly fast scanning speed of 85ppm/ 170 ipm in duplex*. Featuring the same speed and durability as an A3 scanner, to take all the effort out of high-volume scanning. One-touch scanning of up to 200 documents in ADF eliminating the need to set up scanning parameters every time. Digital imprinter and/ or post imprinter allowing you to easily compare your scanned data with the original document. U-turn and straight transport systems enabling you to seamlessly scan documents of varying sizes, thicknesses and lengths. Remote control software for online scanning status checks Eliminating the need for individual operator management and maintenance. Batch control For greatly increased efficiency.